Welcome to the PAYCE Podcast page. Learn more about the Palestinian American Youth Civic Engagement (PAYCE) initiative on this website. Palestinian American Youth Civic Engagement (PAYCE) brings together Palestinian and American university students in a shared curriculum to inspire productive, effective, and positive civic engagement. Housed at Al-Quds University, PAYCE includes students from Palestinian programs Al-Quds Bard, Al-Quds American Studies, and An-Najah National University. United States campuses include Drake University, Florida Agricultural and Mechanical University (FAMU), University of Hartford, and University of New Hampshire – Manchester. PAYCE is funded by The Aspen Institute Stevens Initiative, a program supported by the U.S. Department of State and the Bezos Family Foundation, which paid all program-related expenses for the participants. 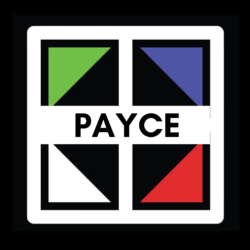 You can explore all the episodes from all three seasons of PAYCE by following this link. PAYCE Stories is available in iTunes, Spotify, Stitcher, and Google Play Music or any app that catches podcasts.